Christmas is fast approaching and so is the shopping madness that occurs every year. In my opinion, giving gifts is way better than receiving, I just love seeing peoples reactions to opening up their gifts! But finding the “perfect” present for family and close friends can be difficult at times. So I decided to share a Christmas gift guide for the girls in your life, some of the gifts are more directed towards teenagers whereas others are for any age. These gifts are more on the pricey side, but they are meant to be for those looking to really treat someone, with an extra special gift this year. Frank Body is a natural, cruelty-free skincare company. Its 100% Australian made and owned, their scrubs are made with quality coffee and natural oils. The caffeine in their products brightens your skin while the oils target dryness and scars. Any of their kits would be the “perfect” gift for any skincare lovers self-care focused girls. 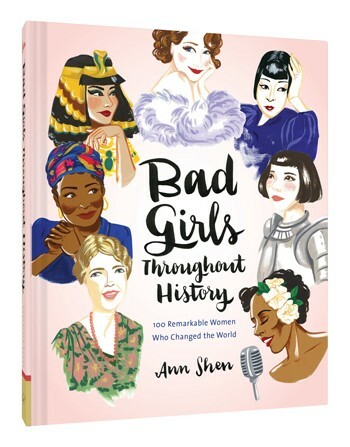 Bad Girls Throughout History is written and illustrated by the talented Ann Shen. The women the book challenged the status quo and changed the rules for all who followed. From pirates to artists, warriors, daredevils, scientists, activists and spies. It’s the perfect gift for any young feminists or for any girl to see how amazing and powerful women really are! Greater Skies allows you to give the stars as a gift. 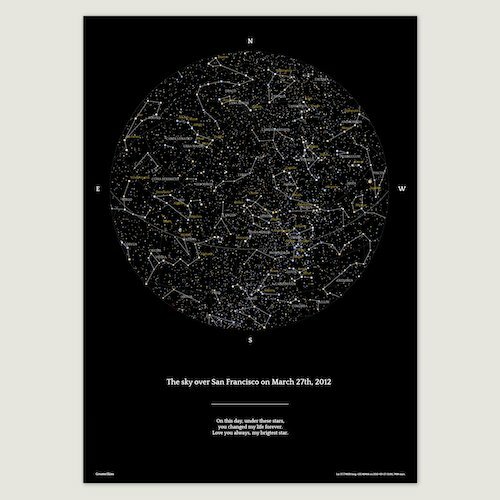 They create beautiful star map posters that celebrate a special memory. All you have to do is put in the time, date and place, They can then create a poster showing the exact star and planet alignment of that moment. They have different designs and instant download options, for my fellow Aussies, there is also free shipping. I did a post with Greater skies that you can check out here. It’s the “perfect” gift for someone who has had a big life event happen recently or any star gazers in your life. 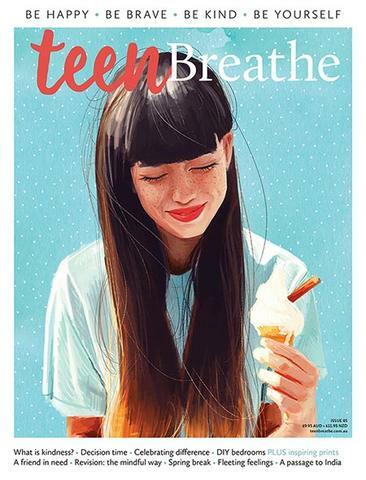 Breathe and Teen Breathe are popular bi-monthly mindfulness and wellbeing magazines. 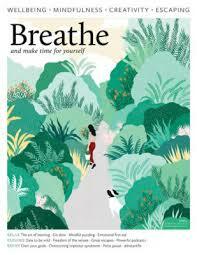 Breathe magazine is directed towards adults, the aim of the magazine is to help you make more time for yourself. Each magazine is filled with beautiful illustrations, craft projects, and inspiring feature like how you can find happiness. Teen Breathe is basically the Teen version of Breathe magazine, its filled with tips, activities and inspiring articles like celebrating difference. The aim of Teen Breathe is to help teens bring out the best in themselves and become comfortable in their own skin. A subscription to either Magazine would be the “perfect” gift for any girl, especially if they have an interest in healthy living and wellbeing. Adelaine Morin a Canadian Youtuber who is passionate about the Girls Supporting Girls movement. 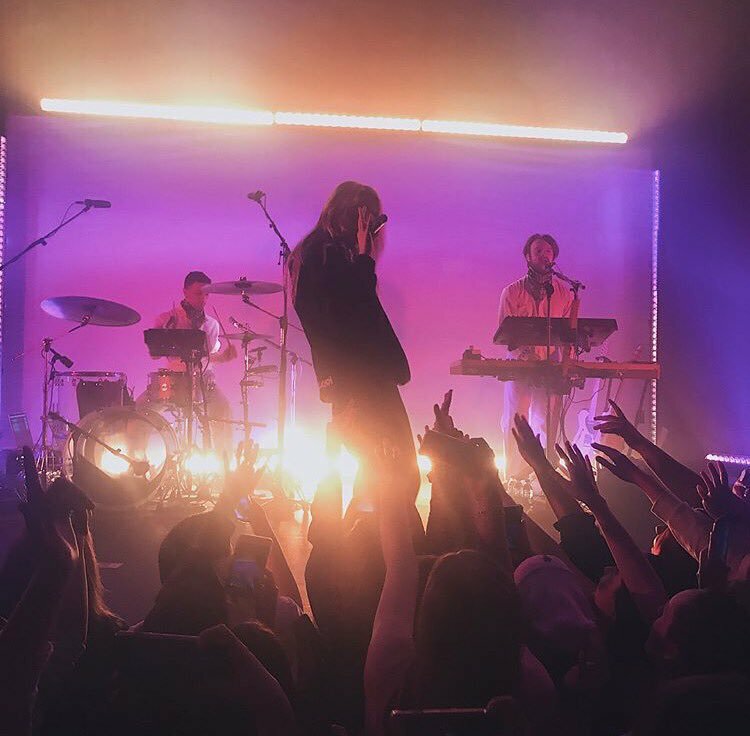 She has released her own merch line, Girls Supporting Girls. Her line features everything from backpacks and phone cases to crop tops and hoodies. Anything from Adelaines shop would be the “perfect” gift for the girl power positive girl in your life. Emma Carey an Australian Influencer, who is also known as The Girl Who Fell From The Sky. Became a paraplegic after a freak skydiving accident, she was told that she would never walk again. 5 years later Emma is walking and is sharing the real and raw reality of what life is like after her accident. Emma has released two gorgeous stamped necklaces, both styles have the same quote “If you can you must” both are made out of 100% recycled Australian sterling silver. Each necklace is also handmade and individually stamped, so each design will be slightly unique and a little bit wonky, kind of like us. The necklaces are made in Melbourne, Australia by the family-owned business – Ernest & Joe. Either of the necklaces would be the “perfect” gift for anyone that’s gone through a hard time recently or is needing a little inspiration! Sometimes experiences are better than materialistic things. Plan out a special day for the recipient, is there a certain activity or going to a workshop they have always wanted to do? Or perhaps they have always dreamt of seeing their favourite singer live? It all depends on the person your gifting to and the budget you set. This would be the “perfect” gift for those who prefer experiences over things.